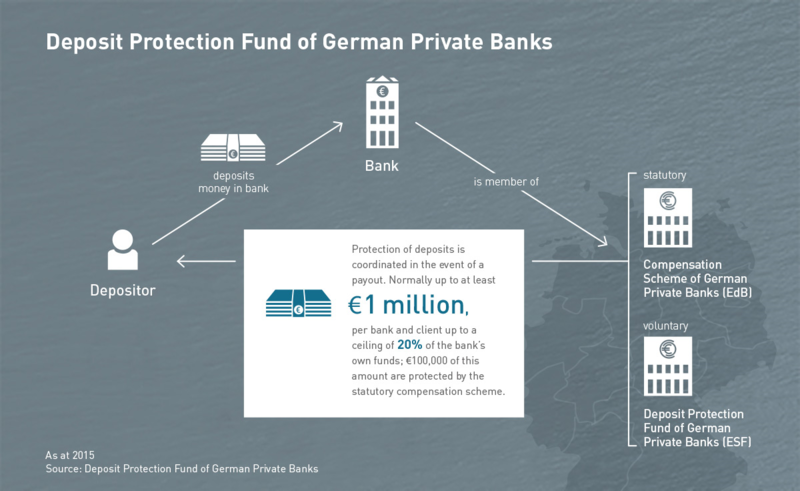 The Deposit Protection Fund of the Association of German Banks secures the deposits of each and every customer at the private commercial banks up to a ceiling of 20% of the relevant liable capital of the respective bank as at the date of the last published annual financial statements. The protection extends to all deposits held by "non-banking institutions", i.e. deposits held by private individuals, business enterprises and public bodies. The deposits protected are for the main part demand, term and savings deposits and registered savings certificates. Liabilities in respect of which bearer instruments such as bearer bonds and bearer certificates of deposit have been issued by a bank are not protected. For almost all depositors, this deposit protection concept means virtually full protection for all deposits at private commercial banks. On request, Deposit Protection Fund is pleased to advise any interested parties of the current deposit protection ceiling of a member bank. An inquiry about the ceiling can also be sent via the Deposit Protection Fund's website at einlagensicherungsfonds.de. In the event that a bank ceases to participate in the Deposit Protection Fund, provision has been made for depositors to be informed in good time so that they can make appropriate arrangements while still enjoying deposit protection. Furthermore, deposits are protected until the next due date, i.e. possibly well beyond the date on which a bank's participation in the fund ends. Please note that, due to banks’ increased capital base, the deposit ceiling will be adjusted over the next few years. As a result, from 1 January 2020 it will be 15%, and from 1 January 2025, 8.75% of the liable capital of the Bank relevant for deposit protection. There is one exception: the protection ceiling for banks joining the scheme is in principle only € 250,000 up to the end of the third calendar year of their participation in the Deposit Protection Fund. 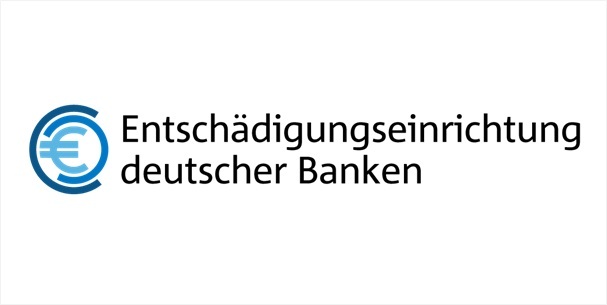 Alongside the Deposit Protection Fund, there exists a statutory deposit protection scheme, the "Entschädigungseinrichtung deutscher Banken" [Compensation Scheme of German Banks, EdB], which was set up in 1998. The EdB performs the tasks of the compensation scheme called for under the German Deposit Guarantee Act (Einlagensicherungsgesetz, EinSiG) for the area of the private commercial banks and private building and loan associations. The protection provided by the EdB is limited to € 100,000 per depositor. The Deposit Protection Fund only covers deposits and depositors if and to the extent that these are not already covered by the EdB. The EdB performs the tasks of the compensation scheme called for under the German Deposit Guarantee Act for the area of the private commercial banks and private building and loan associations.